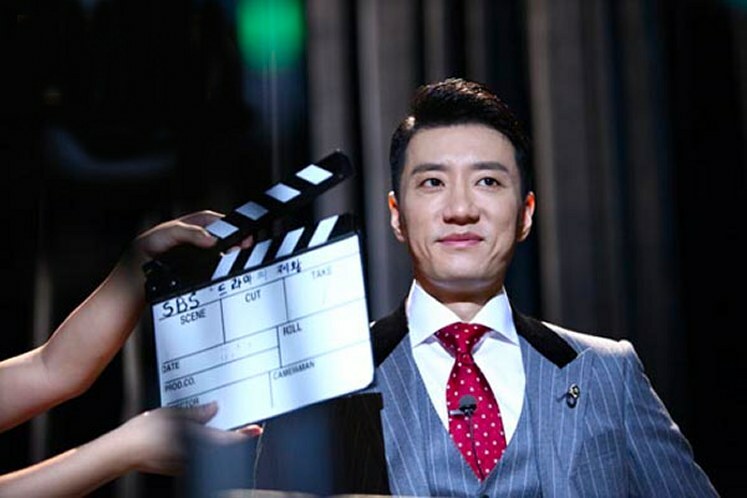 Actor Kim Myung Min never fails to deliver powerhouse performances and does so here yet again in 2012's wonderful romantic comedy melodrama mix, The King Of Dramas. He is the reason I began watching this drama, knowing ahead of time that he would delight me completely. Love the Alpha Male Actors! -- those over 35 years of age who have the required seasoning as actors to give you brilliance in their performances every single time. I especially loved Myung Min in Beethoven Virus K-drama and the film Open City with Ye Jin Son. 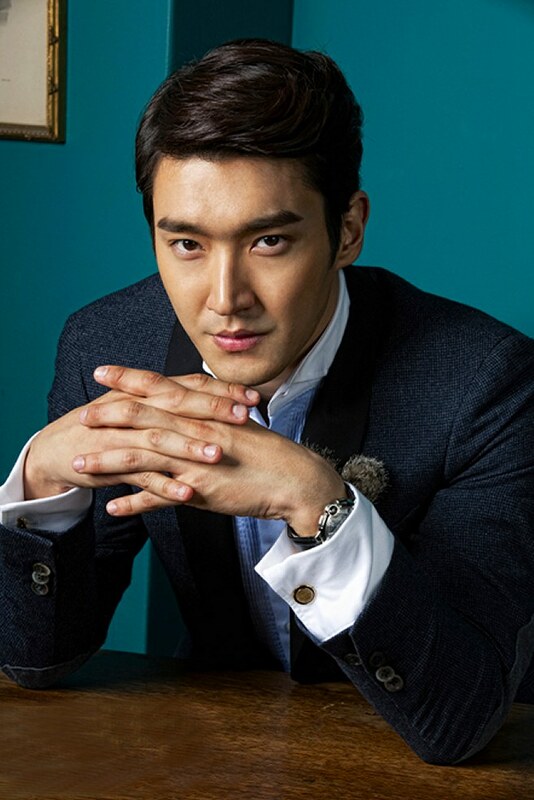 Younger actor Siwon Choi as second male lead (for once NOT in love with the female lead, hooray! No second male lead syndrome here!) was adorable; I first saw him in Spring Waltz years ago and was captivated by his beautiful smile. 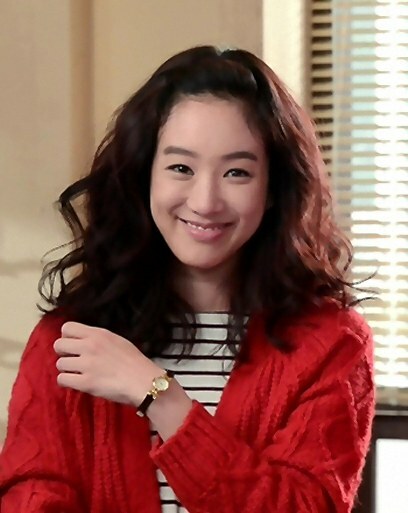 Actress Jung Ryeo Won (My Lovely Sam Soon, What Planet Are You From?) delivers yet another fine performance as the gifted writer of popular dramas, who is deceptively wise as well as extraordinarily pretty. She could have starred in her own drama depicted in the series! This show is a solid mixture of comedy and some sad moments, though they usually spring back to happy scenes eventually. Don't go into this drama thinking it's just one genre or the other. Also, much of the romance between the two lead characters is subdued until about half-way through, but that makes it more powerful in some indescribable way, as the romantic suspense and attraction builds between their two characters. The King of Dramas is much better than another, earlier drama which depicted what went on behind the scenes in the making of dramas for television in Korea, called On Air (2008), and better than the drama which showed what it takes to make reality shows, Producer (2015). I graded both of those shows a B, and The King of Dramas an A. It's simply a better written, more savvy show. One of the big reasons is because the female lead character is written very strongly, not overtly feminist, but she is NOT a pushover; when she disagrees with anyone she states why clearly and with good logic ... and often with a smile upon her face. That makes even people who want to use her or take advantage of her back off and think, "Hey, maybe she is right after all!" Clever girl! She is a confident character who is a refreshing change of pace from wallflowers and doormats in dramas. 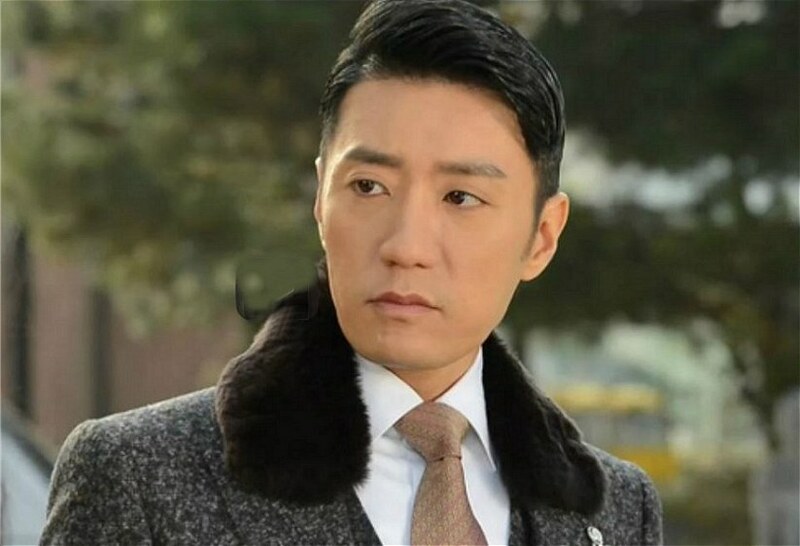 The Story: Aggressively ambitious Korean television drama producer Anthony Kim (played by Kim Myung Min -- the "Anthony" is his character's American name that he prefers, for reasons which are revealed later in the show in a funny way) is a David O. Selznick type of perfectionist who likes to control every facet of drama making at his broadcast station. 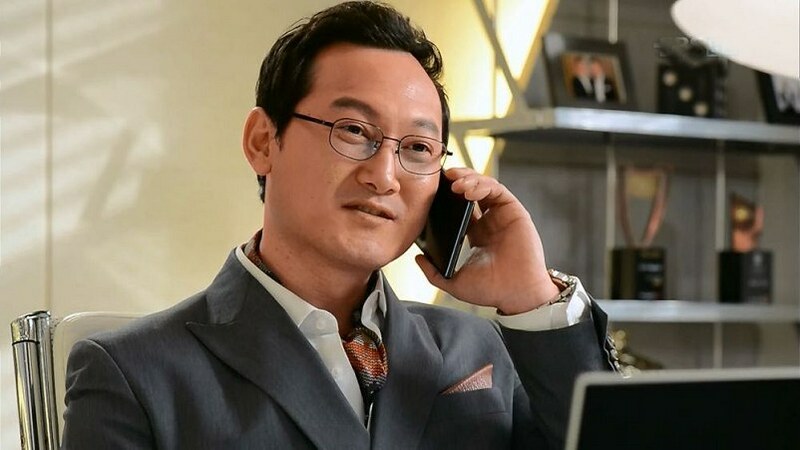 His demanding style results in a trail of major successes in the ratings, but his cool brilliance also makes him enemies, including a rival jealous executive producer Jin Wan Oh (Jung Man Shik from Good Doctor and King 2 Hearts), who eventually manages to get him fired unfairly. Anthony decides to sponsor his own independent, well written stories to sell them to the highest bidder among the stations. For that he needs the female drama writer he respects the most, Go Eun Lee (Jung Ryeo Won), a young, cheerful, hard-working girl whose best works are often historical dramas. Her current one she is working on is a modern historical piece that showcases the time period when Japan ruled Korea in the 1920's through the 1940's (sort of like Bridal Mask). Anthony sweet talks her into working with him, but at the same time word has gotten out in the industry that her script is a work of art, and rival Jin Wan Oh wants it for his station, so he tries to steal Go Eun Lee from Anthony Kim. She is wise to him, however, and plays along at first, but when Anthony hears she is sitting with Jin Wan Oh in his office he barges in and begs her not to sign a contract with him. "There will be no secondary writer who will touch your work!" he promises her. She is allowed to make any changes she wants. So she decides to work with Anthony, but Jin Wan Oh plans his revenge. As Go Eun Lee polishes off her script she consults Anthony on a daily basis and they exchange ideas about the story which brings them closer all the time. It's wonderful to see the ice melt between them and to watch how close they become in the process of creativity. Anthony decides to take the economic plunge and open his own broadcast station to produce and air her drama and future dramas. Some of his financing to set up the station risks his life, as Japanese Mafia types pose as legitimate investors but are really intent on destroying him and the project before it's broadcast. They almost kill him, but fail. I was surprised that the drama would depict the Japanese in such an unfavorable light -- that often results in Japan not buying the broadcast rights for the dramas in their country. Even all these decades later you don't dare insult the Japanese! The drama proceeds as planned and is cast with popular newcomers including the unbelievably handsome Kang Hyun Min (Choi Siwon) but also an experienced actress Min Ah Sung (Oh Ji Eun) who used to be lovers with Anthony years earlier. She has a hidden agenda in coming back to work for him: to try and get back with him romantically, but it's useless: it's obvious that Anthony has fallen deeply in love with Lee Go Eun. 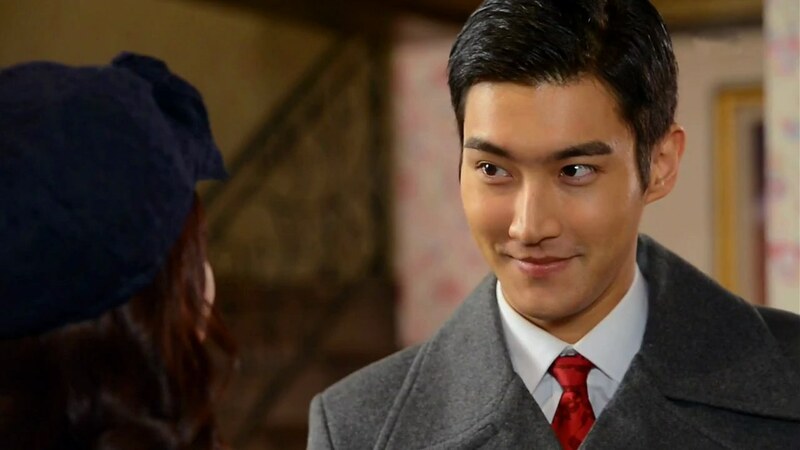 Siwon is attracted to Min Ah, even though she is older than him, and she at first ignores him, but he is a persistent rascal. How could any woman resist this face??? He plays the lead male character in the drama within the drama. One of my favorite scenes is when Anthony is visiting Go Eun at her apartment for supposed work related reasons, and she is blubbering on the sofa watching the classic 1995 romance film The Love Letter. 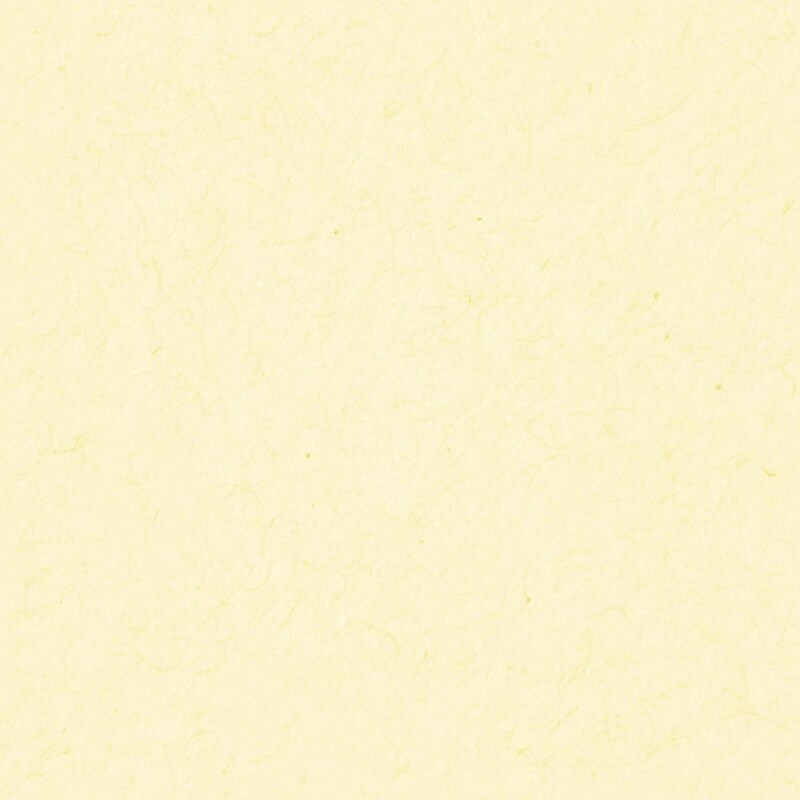 (It's one of my favorites too and I was delighted to see it being plugged). She has watched it multiple times and knows it by heart and even owns the book it was based on. Anthony asks her why she is watching it. "I have to refer to it for my work", she tells him, but we suspect that's just an excuse. He tries to watch the film too, to figure out why she likes it so much. They cut to the end of the film and now even he has started to get teary eyed -- although he mostly steals glances at her enraptured face! It's so obvious he's crazy about her. What a fantastic scene. It's worth it to watch this show just for that one scene alone! I also love the scene where they are with a group of competitors and colleagues at the station and Anthony tells her publicly he trusts her implicitly. "I don't even trust myself, but I trust you," he says to her in front of everyone, and she is shocked. It's obvious at that moment, if she had any reservations about loving this guy, they are now gone forever. The drama premieres on television and all their hard work has paid off. The first episode merits 15.7% ratings and everyone is ecstatic with joy, jumping up and down and hugging each other. Then with each succeeding episode the ratings climb until they approach 30%, a very rare high percentage for any Korean drama. Due to the success of the show Anthony is offered a fantastic job as head of broadcasting at the biggest station in Korea. At first he jumps at the chance but then tragedy strikes: his mother had gone blind when he was a child, and it looks like her disease is hereditary and has been passed along to him. His doctor says he has about three months before he goes blind. He tries to hide his shock at the office but Go Eun suspects something is terribly wrong when he turns cold to her. He thinks if he rebuffs her she can go out and find a man to love who will not be a burden to her in the future. He even contemplates suicide. In a very powerful scene he walks into an empty Catholic church and cries his heart out to God, pours out all his anger. "Isn't it enough that you allowed this to happen to my mother, and now to me too?" He breaks down with emotion. I was highly impressed with this scene, probably his best acted scene in the entire drama. Will the doctor be right? Or will there be a miracle that will prevent his encroaching blindness? Will Go Eun leave him or dedicate her life to him instead, despite a handicap? 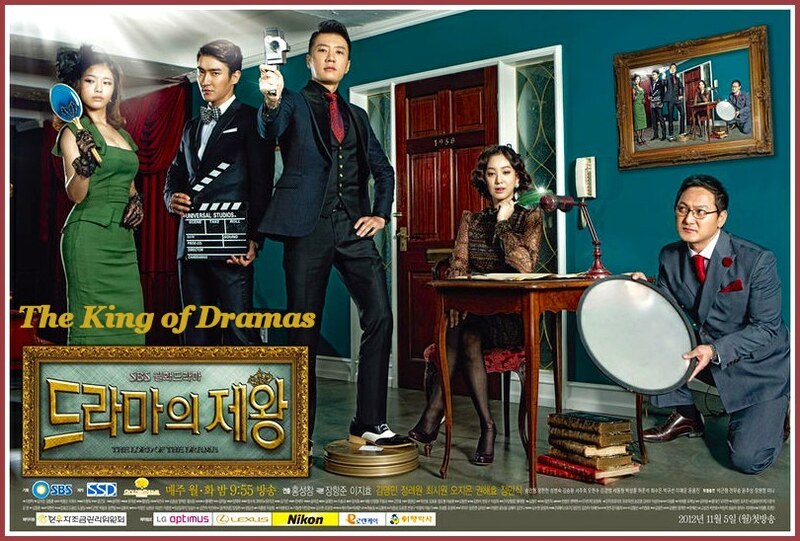 The King of Dramas in my opinion is a drama that is not to be missed for the true K-drama fan, hence the A grade. There are a lot of fun perks, too. Actress Park Shin Hye has a funny cameo in episode one that made me laugh out loud. 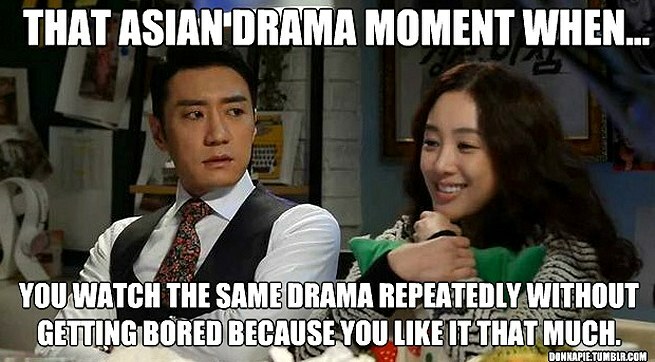 The show begins by referring to the rise of the Hallyu Wave and shows news clips and drama clips from many Korean actor and actress celebrities and their drama work, the first two shown of course were Bae Yong Joon and Choi Ji Woo from the classic Winter Sonata. It seems like every veteran actor of any substance is in this show in small parts or cameos! Handsome Siwon made me laugh so much my sides ached. All the petty jealousies that go on behind the scenes, the worrying about financing, the falling behind shooting schedules for all kinds of reasons, arguments between actors and writers, writers and producers, what happens when an actor gets sick, they're all addressed and not hidden away. Even when an actress objects to a cameraman when he has bad breath! This drama will give you the most insight into what really goes on behind the scenes in the production of popular Korean dramas. Myung Min and Siwon bud it up! Siwon and Ryeo Won bud it up!